Seamless SoftEdge Headgear for Quattro Air series masks features premium rolled-edge fabric with a unique texture that helps improve fit and feels more natural on the face. 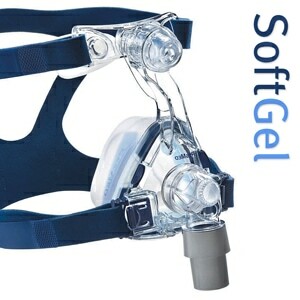 It should be worn loosely to allow the mask cushion to inflate and adapt to facial contours and movement through the night. The headgear's crown strap sits comfortably at the top of the head, limiting contact with the sensitive areas around the back of the neck. 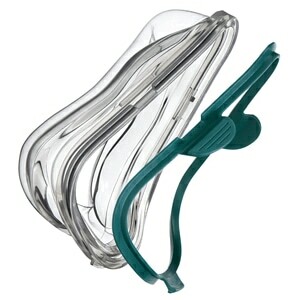 There are no headgear clips required with Quattro Air or Quattro Air For Her masks; instead the headgear slides easily onto loops built into the mask frame. There's no need to re-adjust the headgear every time you put it on, once you've found your fit just slide the headgear on and off the headgear loops as needed. 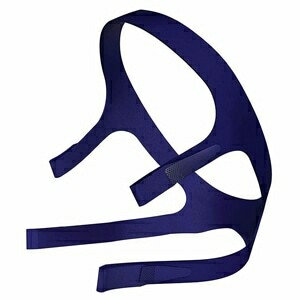 COLOR: Quattro Air Headgear is available in a gray with blue or pink highlights. SIZING: This headgear is available in two sizes. 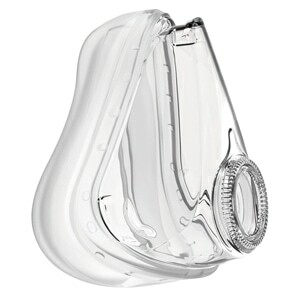 Standard sized headgear comes with all Quattro Air Masks; Small sized headgear comes with all Quattro Air For Her Masks. Either headgear size can be used with any mask size. I have used this service multiple times and have never been disappointed. Their merchandise is always top notch and has always arrived at or ahead of their promised delivery deadline. I will definitely continue to use them for my future needs!! My husband says the strap across the top makes for a better fit. He loves it! 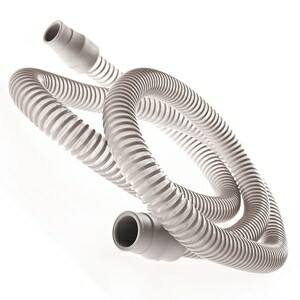 Very comfortable, holds up fairly well in the washer. Hang dry. I replace mine every 3-6 months. I was able to save a great deal of money and my shipment showed a day early.